Connects your InterAcct Diary with a tool to easily see appointments and manage staff. 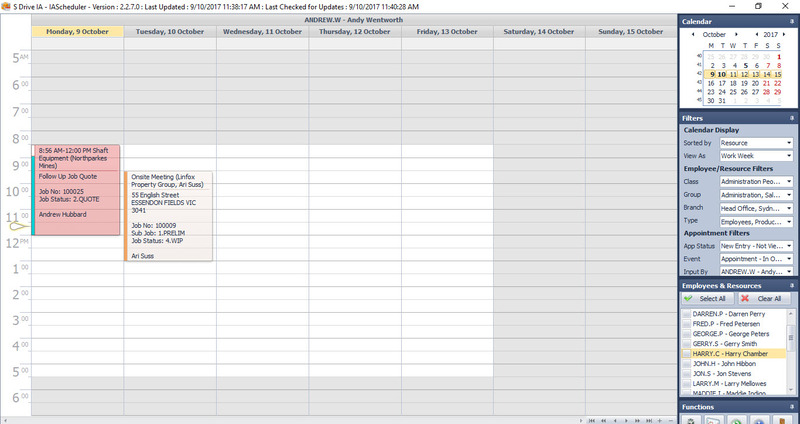 The Visual Schedule has multiple views and user selectable options. Click and drag to create appointments, move them or create time sheets. Pulls data from your jobs database to the appointment and creates fast time sheets. Fully integrated with InterAcct System Diary.